This is the June 2018 edition of the Tech:NYC newsletter. If you're not already getting this in your inbox, sign up now. There has been no shortage of news lately, much of it crucially important to our nation and to New York. In the midst of Supreme Court rulings and retirements, political upsets, and the horror at the border, you might have missed that the New York Senate and Assembly ended their legislative session last week and, disappointingly, achieved very little. The New York State Legislature will reconvene in January 2019. After September and November elections, the makeup of the Senate and Assembly will likely be different. We hope this means new opportunities to move important issues will present themselves. We’ve written about four issues the legislature should prioritize next year, including automatic voter registration and congestion pricing. Read our full post for more details, and as always, we’ll continue to keep an eye on important matters happening at the city and state levels. Earlier this month, Tech:NYC Executive Director Julie Samuels moderated a lively panel at the Crain’s New York’s 2018 Female Entrepreneurs event. She joined founders from Celmatix, Chronicled, Lola, and MM.LaFleur to discuss fundraising challenges, adding women to boards of directors, the role of mentorship, real estate challenges, and more. 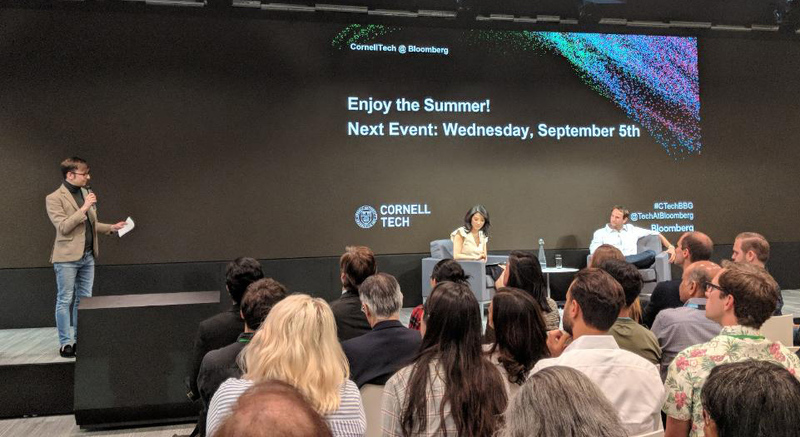 Our own Tyler Bugg gave the closing remarks at the last CornellTech@Bloomberg event of the season. Mark your calendars for the next event on September 5 and subscribe to the new CornellTech@Bloomberg podcast to hear wide-ranging discussions with NYC tech’s top entrepreneurs and investors about the most pressing issues facing the industry today. We were disappointed by this week’s news that the Supreme Court ruled to uphold the Trump travel ban, which prevents citizens from seven countries from entering the U.S. Thousands of leaders in our community have stood against the travel ban since it was first announced in early 2017; not only is it morally wrong, but it’s bad for New York and building the diverse pool of talent our companies need. Our stance remains the same today. Read our full statement here. Earlier this week, drivers from our member Via and other driver networks volunteered time and vehicles to help local immigrant and refugee children who were separated from their families at the border. 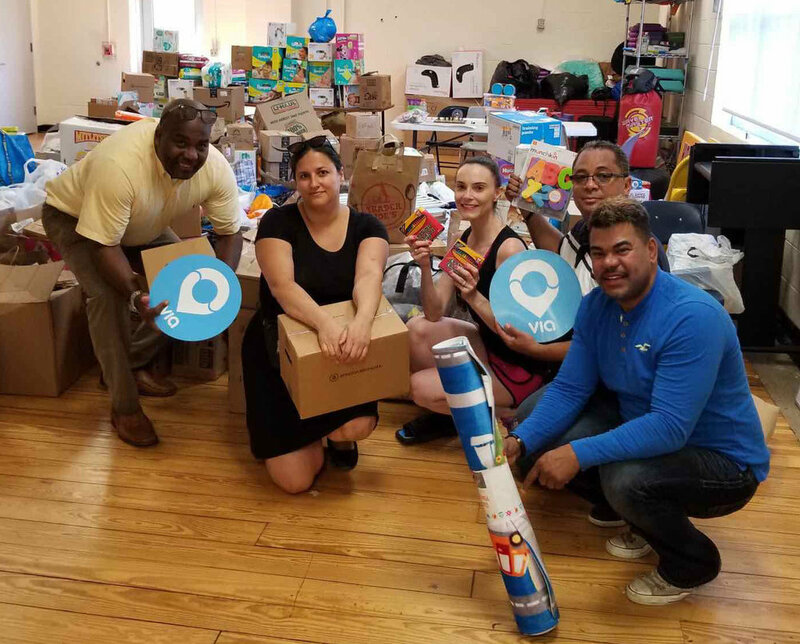 In partnership with City Councilmember Mark Levine, drivers transported thousands of pounds of donated goods, including toys, blankets, and clothes, to service organizations across the NYC metro area. AppNexus is being acquired AT&T for about $1.6 billion, another significant milestone for the NYC tech community. Foursquare, Harry’s, and Stride spoke to Built In New York about what diversity means to them and how it is changing their cultures for the better. Zola was spotlighted by Crain’s New York as a company that symbolizes the success of NYC’s tech ecosystem. Fullstack Academy co-founders David Yang and Nimit Maru wrote in Recode about the best ways to get more women in tech. David Belt, Co-Founder and CEO of New Lab, writes in Crain’s New York that the proposed Brooklyn-Queens Connector would greatly help to grow the tech sector in Brooklyn and Queens. Grand Central Tech has transformed into Company, and it has ambitious plans to open a new 1.1 million square-foot tech campus in Midtown. July 9: Join the NY Tech Alliance for the July 2018 New York Tech Meetup at our member AppNexus. The event will feature live demos from the companies Dash, Indicative, Swoup, and more. Register now. July 12: Our member Pluto will host Pluto Power Shift, its monthly after-work panel series. This month's discussion will focus on how companies can take concrete steps to build diverse and inclusive work cultures regardless of their size. Companies on the panel include First Round Capital, Jet, NewsCred, Per Scholas, and Wethos. Register now. July 18: Save the date for our fireside chat, in partnership with betaworks, on the relationship between the SEC and startups, featuring Valerie A. Szczepanik, the agency’s newly appointed, first-ever “crypto czar.” Stay tuned for more information and to RSVP. July 19: Tech:NYC will host the next edition of our Policy Labs series at DJI, where we’ll introduce policymakers to drones, interact with drone technology, explore the legal and regulatory impacts they could have on government services, and more. Stay tuned for more information. July 31: Our member Voyager will host its Travel Trailblazers Breakfast, which will help you expand your network and share insights with other early-stage travel founders over coffee at the Voyager Clubhouse. The special guest for this edition will be Tristan Mace, the co-founder and CEO of Margin. Register here. FitHouse: A fitness company that offers unlimited access to workout classes in their studios. Jumprope: A place to share your talent and learn from others. Kolu: A mobile app that matches tourists and tour guides based on the interests that they share, for personalized walking tours in the Greater New York City area. Localize: An app that reveals everything you need to know before choosing a home. Noken: Curated trips for the modern traveler. One Drop: A diabetes management platform that harnesses the power of mobile computing and data science to empower people with diabetes to live healthier lives, together. PERSONALS: A text-based dating app for lesbians, non-binary queer, and LBTQIA identifying people. TRILL: A platform that creates bookable experiences from social travel content. Meet Brittany Armstead, who joins us as our summer legal intern! A rising 2L at Fordham Law, she’s worked for Senator Chuck Schumer and as a lobbying assistant at Davidoff Hutcher & Citron LLP. Here at Tech:NYC, Brittany is working on several policy and white paper projects exploring regulation in the tech space. 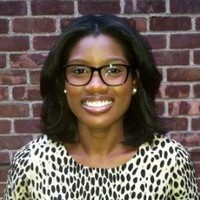 In addition to her policy work, Brittany is spearheading our weekly summer breakfast series connecting General Counsels and legal interns across our member network. Have a legal intern who would like to participate? Get in touch for more details!